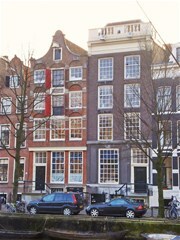 Brouwersgracht 41 I Amsterdam, Jordaan - Peter Bruin Makelaardij o.g. 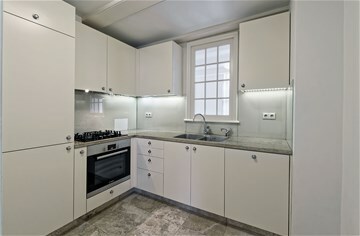 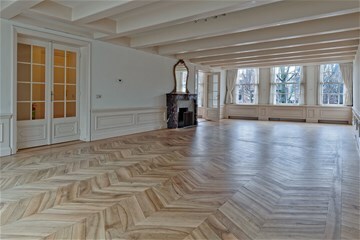 b.v.
Brandnew renovated, unfurnished, two bedroom apartment of approx. 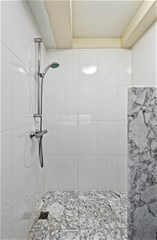 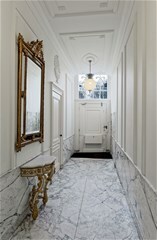 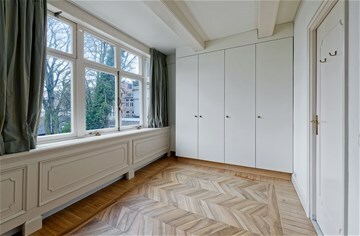 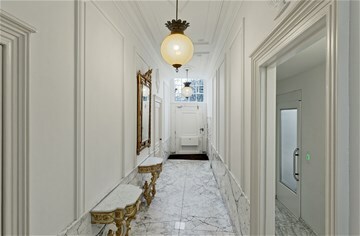 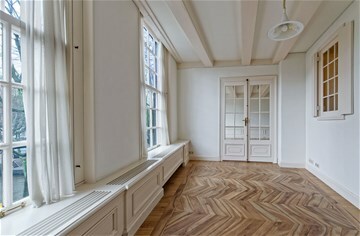 120 m², located in the picturesque Jordaan-area in a historical building with elevator. 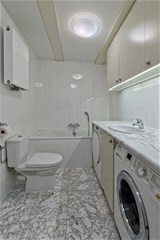 PARKING GARAGE AVAILABLE. 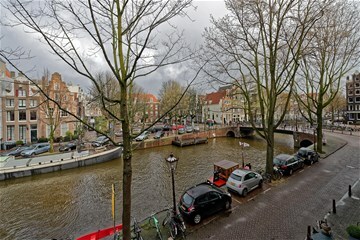 The apartment on the first floor can be reached by elevator as well as by stairs and offers beautiful canal beautiful views. 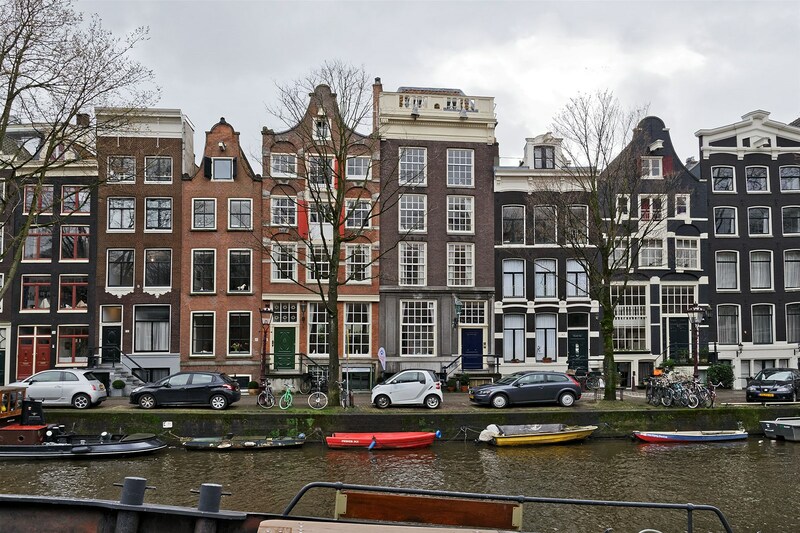 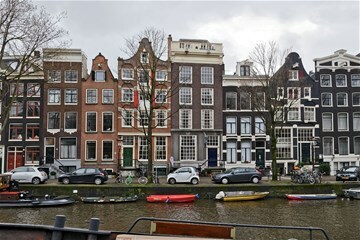 Well situated between Keizersgracht and Herengracht with lots of shops, restaurants and public transport (Central Station) on walking distance. 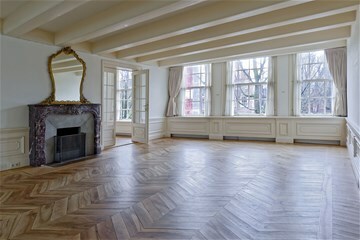 Bright and large livingroom of approx. 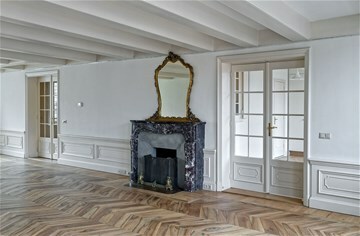 65 m² with open fireplace. 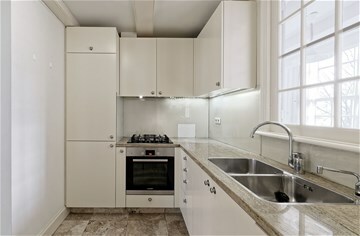 Fully equipped, semi-open, kitchen. 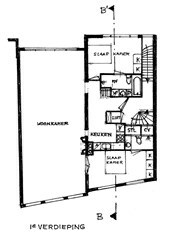 Two bedrooms with built-in closets and each it's own bathroom (one with shower, one with bath and shower). 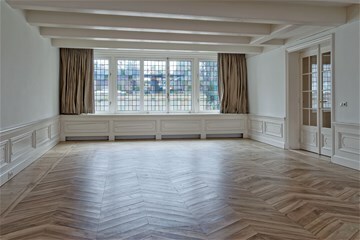 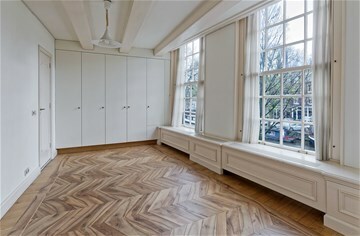 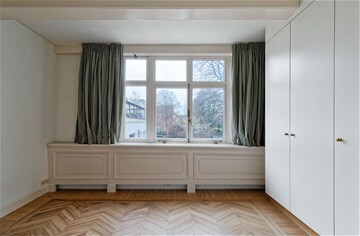 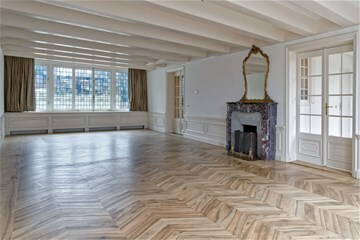 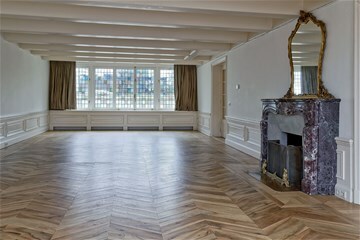 Beautiful Oak haringbone wooden floors throughout entire apartment. 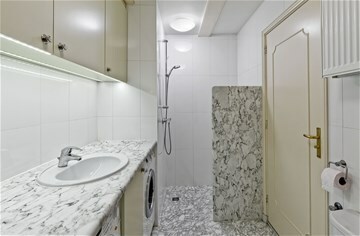 Bicycle storage for residents on lower groundfloor. 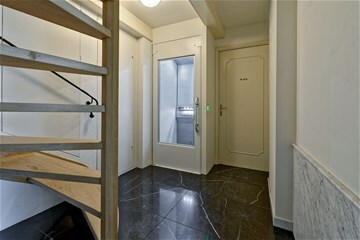 Possibility for parking space in garage in the near vicinity, for additional costs of € 350,-- p/m. 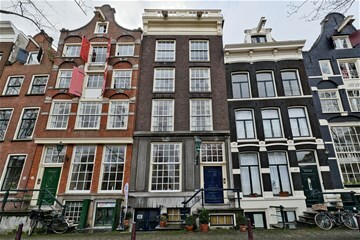 Rental price apartment : € 2.500,- p/m excluding utilities and parking.